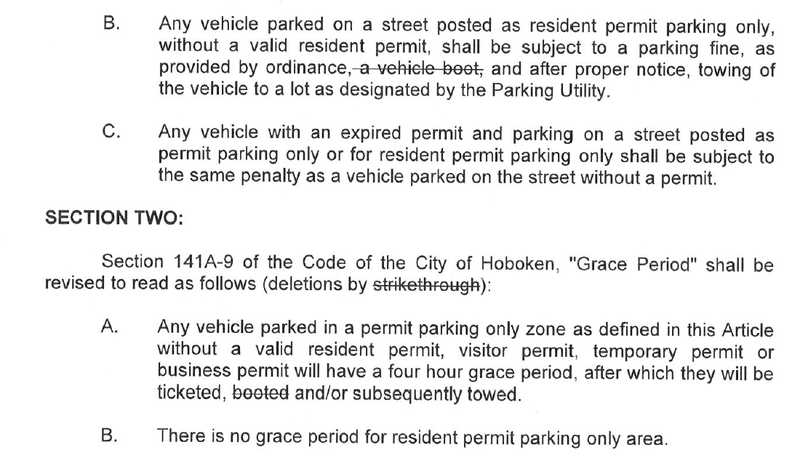 A resolution for eliminating the boot in Hoboken and bringing back the old reliable tow truck will be on tap tonight in the City Council. Of course all you're hearing about is the boot which neglects the actual language changes in the resolution MSV highlighted earlier this week. So enjoy the little game of politics as there's not much likely to be resolved when playing politics is the ultimate objective. Tonight that's likely we're all going to see. Strike up the band and end Das Boot! We're set to go back to the ticket, hook and tow! Talking Ed Note: The City has had internet issues and this segment begins in resolutions with Hoboken Housing Authority Chairwoman Dana Wefer explaining the important of support to move electrical panels for new generators in the HHA. The whole meeting will be aired on cable: Cablevision and Verizon.